Cannock based The Lighting Warehouse is a specialist lighting shop offering lighting of all styles for all rooms. The Lighting Warehouse has been providing lighting of all types for over 20 years. The level of customer service and advise has enabled The Lighting Warehouse to become an established name in the lighting industry throughout Cannock, Staffordshire and the Midlands. The Lighting Warehouse pride themselves on offering a complete range of lighting solutions, at competitive prices but also with a level of service beyond that of other retailers. The business is the passion of owner Paul who takes time with each customer to understand their lighting needs and preferred styles. 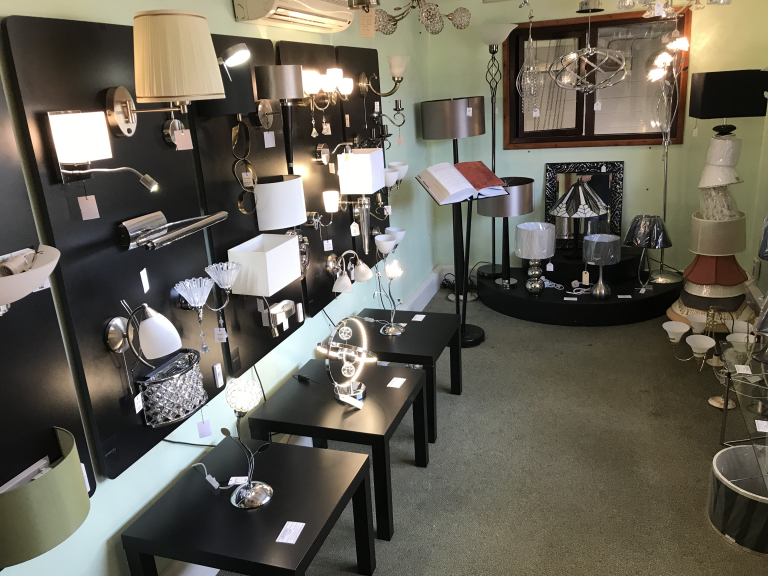 Customers then the browse the varied selection of lights on display at the Cannock showroom, but also browse the catalogues from trusted suppliers for the full range available. Items from the catalogues can be ordered as required to ensure a wider range of lighting from The Lighting Warehouse in a wide range of finishes, sizes and styles for all rooms and gardens. The Lighting Warehouse have a wide range of accessories and spares for lighting. If you have a favourite light that perhaps needs a repair then please visit Paul to see if he can resurrect the light. A wide range of bulbs, including traditional tungsten bulbs, halogen bulbs and LED bulbs are all available at competitive prices. The Lighting Warehouse also stock and supply a wide range of light switches and sockets. These are available in a range of finishes including chrome, brass, satin, retro style and more. These small items can make a big impression in most rooms. A home consultation service is also offered by Paul at The Lighting Warehouse to further assist customers in selecting the perfect lighting for their home. The right choice of lighting can really transform a room and with unrivalled knowledge and expertise why not take advantage of the service and products from The Lighting Warehouse, Cannock. In addition to lighting The Lighting Warehouse also have a wide range of mirrors available in the Cannock showroom to complete the appeal of any room. The mirrors are available in a range of sizes and with frames ranging from traditional through to a modern, contemporary style. A wide range of bathroom mirrors are also available complete with built in LED lighting, a popular choice for modern bathroom refits. 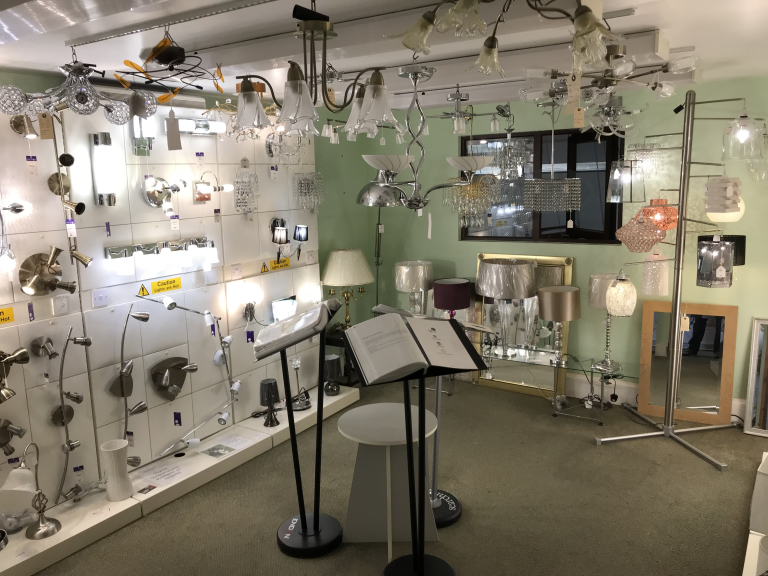 Call The Lighting Warehouse on Cannock (01543) 572444 or visit the showroom for friendly and personal advice and service for all your lighting needs. Please mention thebestof Cannock when contacting The Lighting Warehouse. Closed on 2nd and 4th Sunday of each month. Free, easy parking outside for customers.